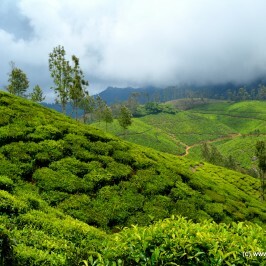 Once again we woke up to a beautiful morning and got ready for onward journey with minimal in hand facility. After breakfast we started our journey at 9:30 a.m. with trip meter at 3722 KM. 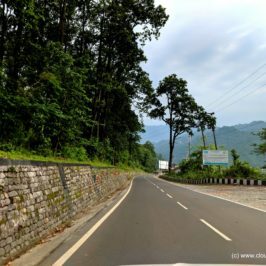 We moved ahead and crossed two checkpost i.e. 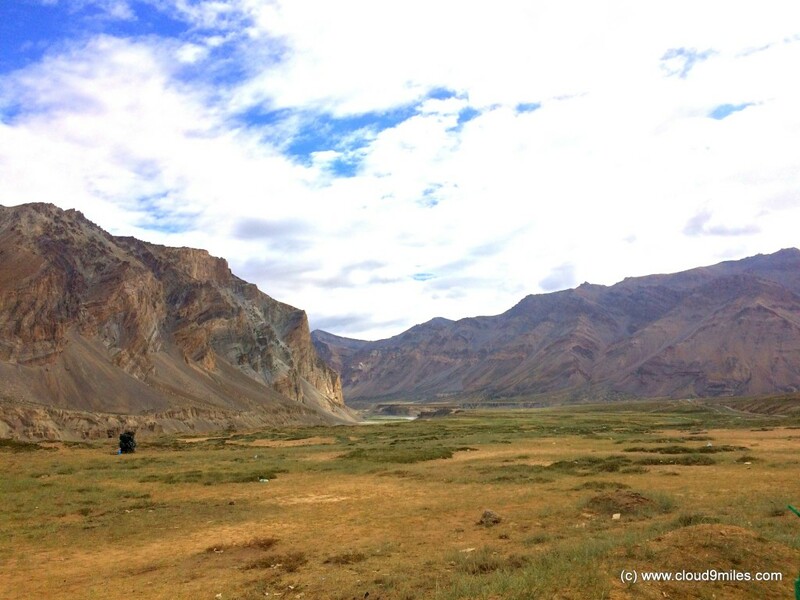 one at Sarchu (J&K) and another at Sarchu (HP). 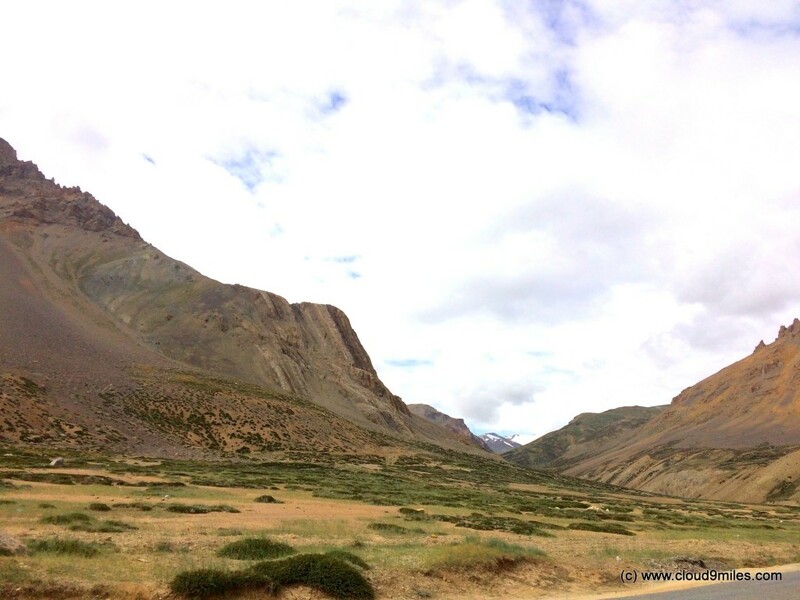 When we entered Sarchu of HP we realised that it has lot of stay options available with amazingly beautiful landscape. 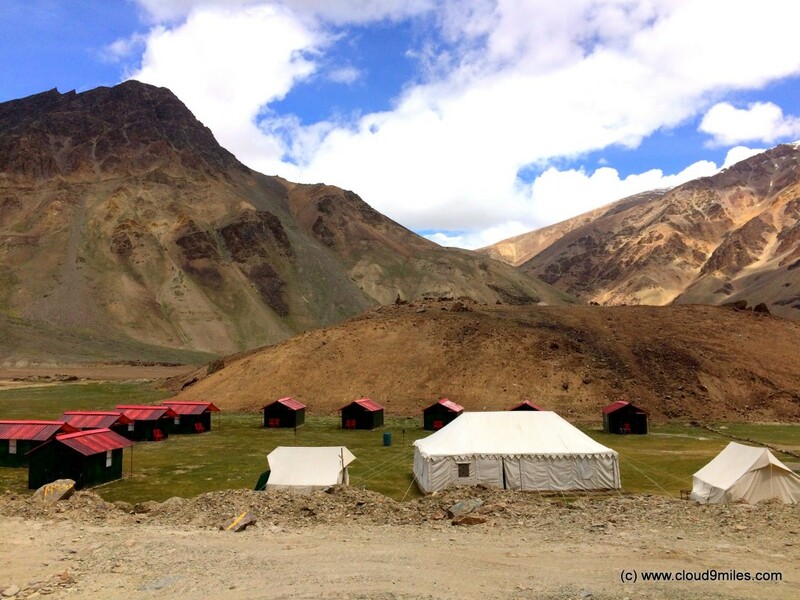 For all travellers, Sarchu (J&K) and Sarchu (HP) are separate with Sarchu (HP) being more beautiful and lot of campsites available for stay. Soon the road conditions became tough and bumpy with another pass approaching. 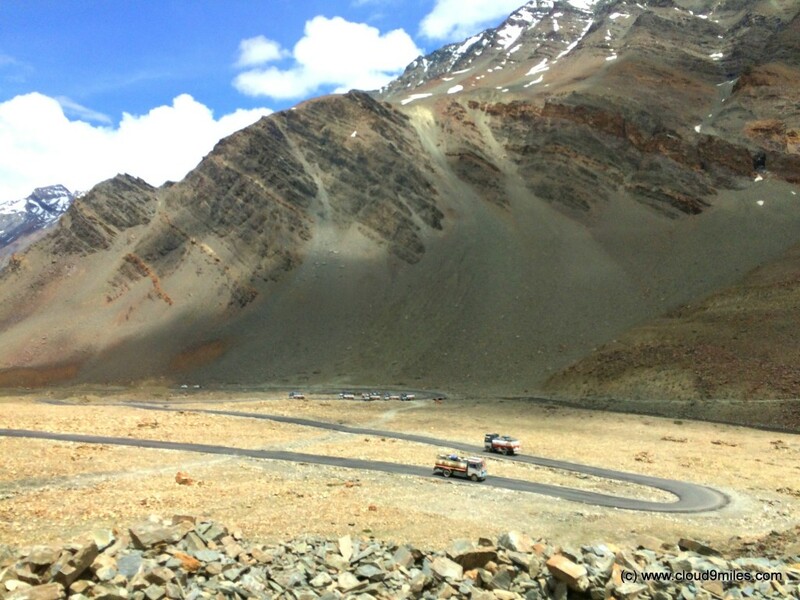 Once again we cautiously passed through these treacherous terrain as we were doing it all throughout this tour and reached Baralacha La (alt 4890 M) @ 11:26 KMs thereby covering 33 KM in 2 hours. 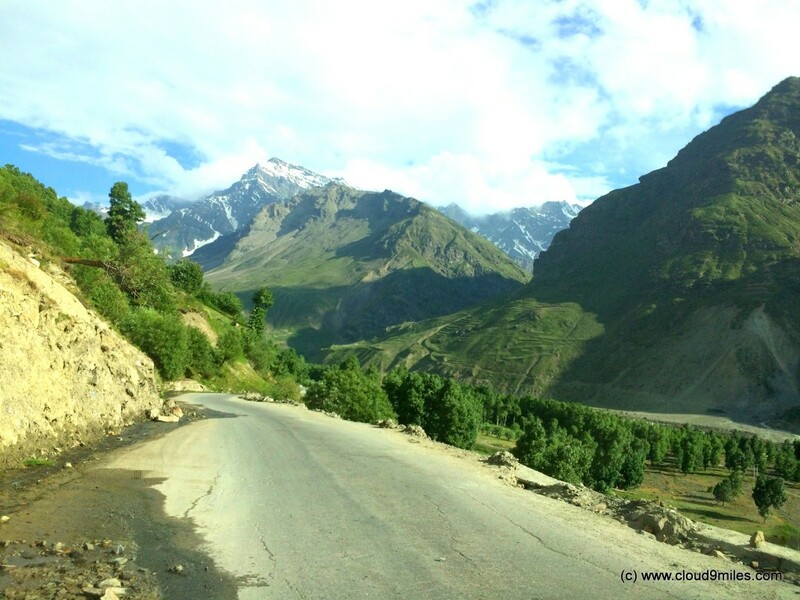 This was the highest pass during our last phase of journey. 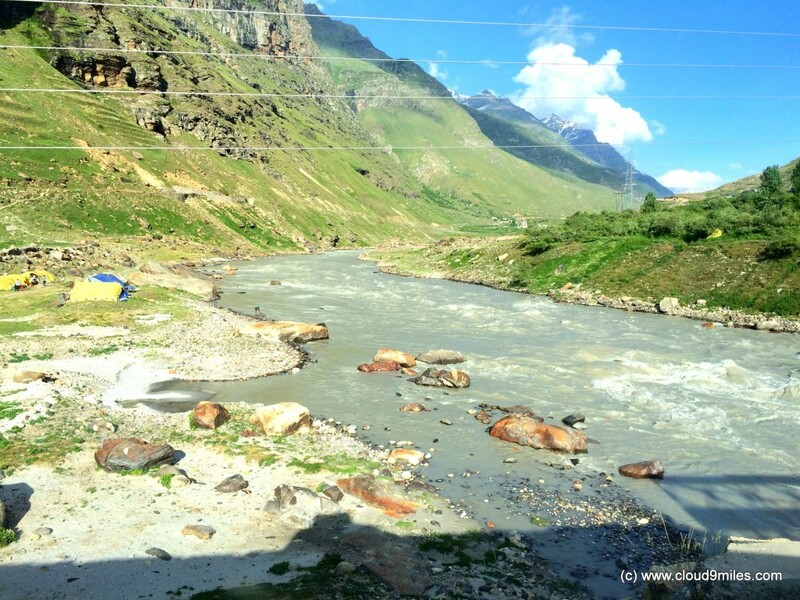 Ready for days journey – Temporary settlements seen behind the tent! When we move others stop! Without taking a break we continued our journey and reached an interesting place Zing Zing Bar at 11:52 am thereby covering a distance of 40 KM. We took a tea break at Zing Zing Bar – a place that usually gets occupied till the highway is functional to provide snacks to travellers. It’s amazing that every year these vendors come here at tough conditions and provide their services for four months to travellers that too at a reasonable price. 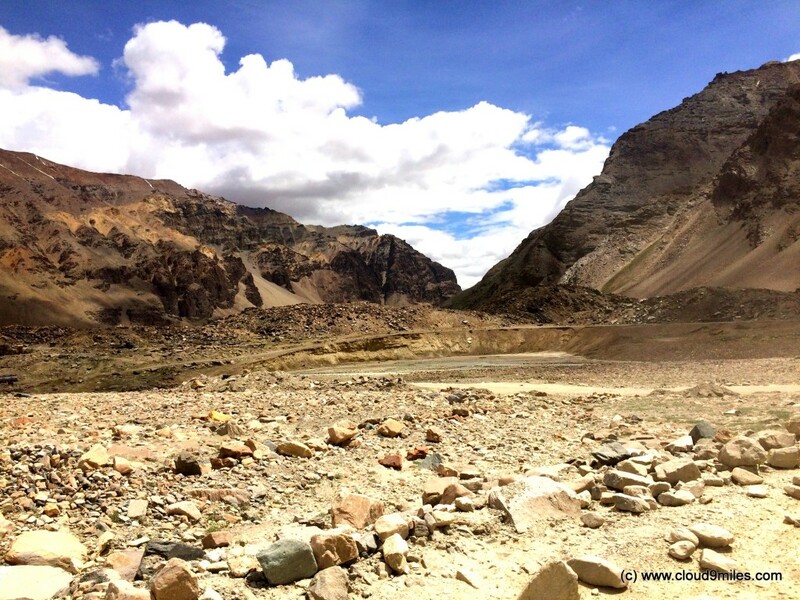 Once again we saw a drastic change in topography and it was getting more greener – a contrast from barren mountains of Ladakh. 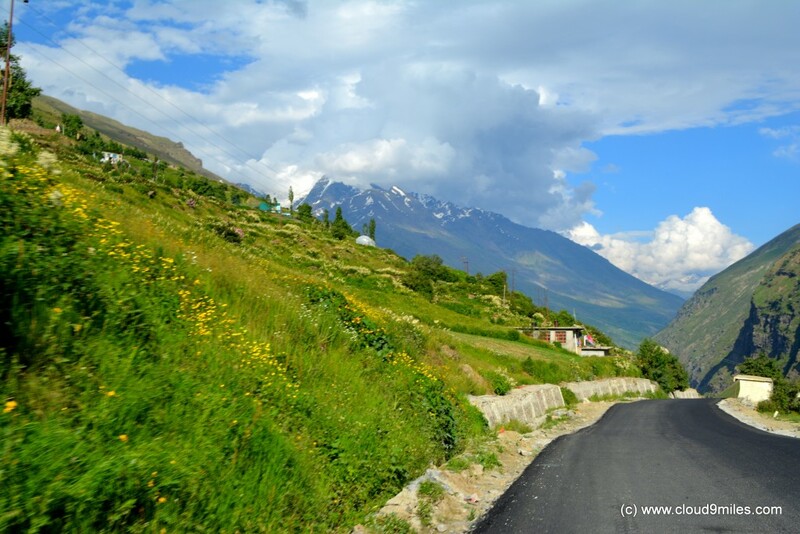 We crossed Darcha (alt 3360 M) @ 1:22 p.m. after covering 78 KMs and Jispa (alt 3200 M) @ 1:41 p.m. after covering 84 KMs. 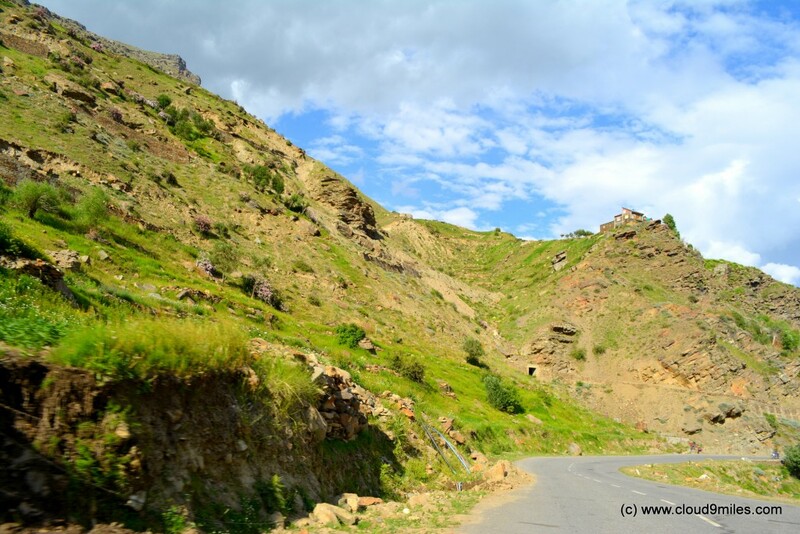 At Darcha we did the entry at police checkpost and moved ahead. We were still at higher altitude but totally acclimatized to these conditions. The road conditions were better with few rough patches in between. 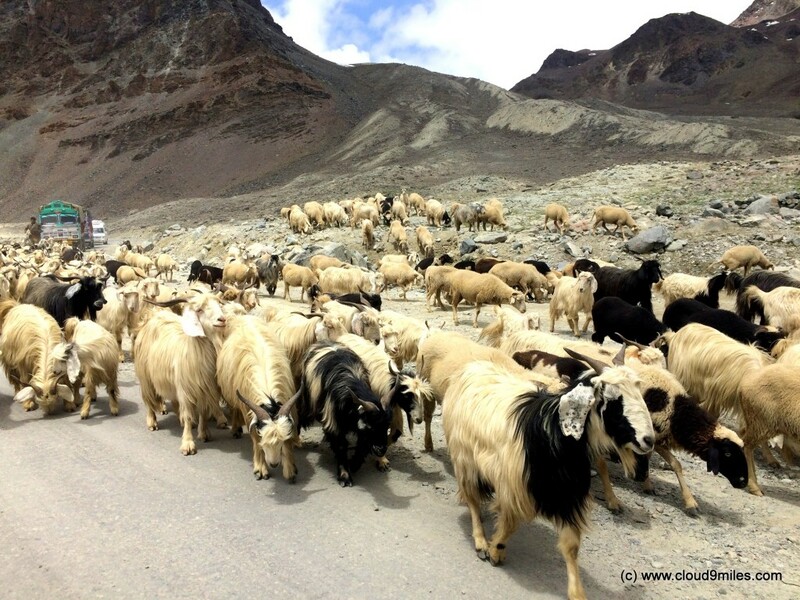 After Jispa the roads were very good and we reached Keylong (alt 3080 M) @ 2:18 p.m. thereby covering 107 KM. Finally, we saw a settlement after a run of almost 300 KMs and really felt good. It seemed altogether a different world. 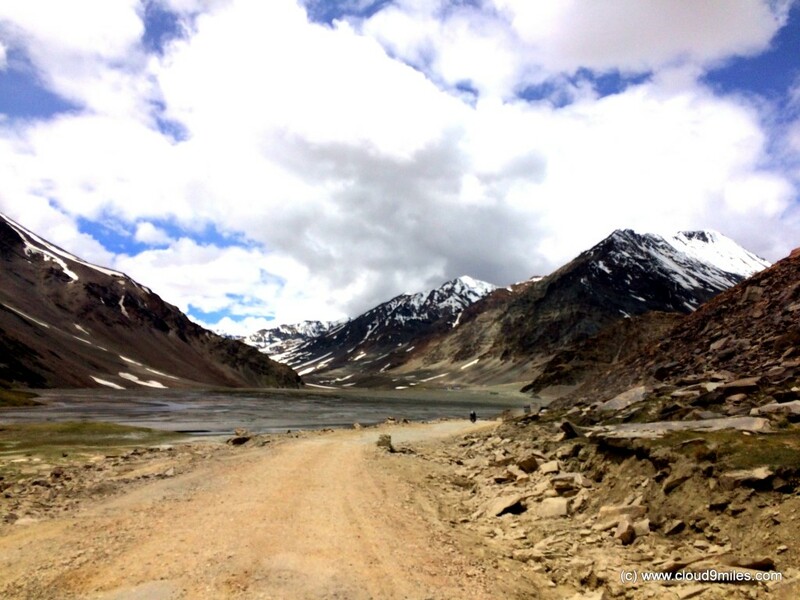 We took a lunch break of an hour at Keylong and started our onward journey. One of the loops on the highway! Snacks at Zing Zing Bar! Stay options at Zing Zing Bar! 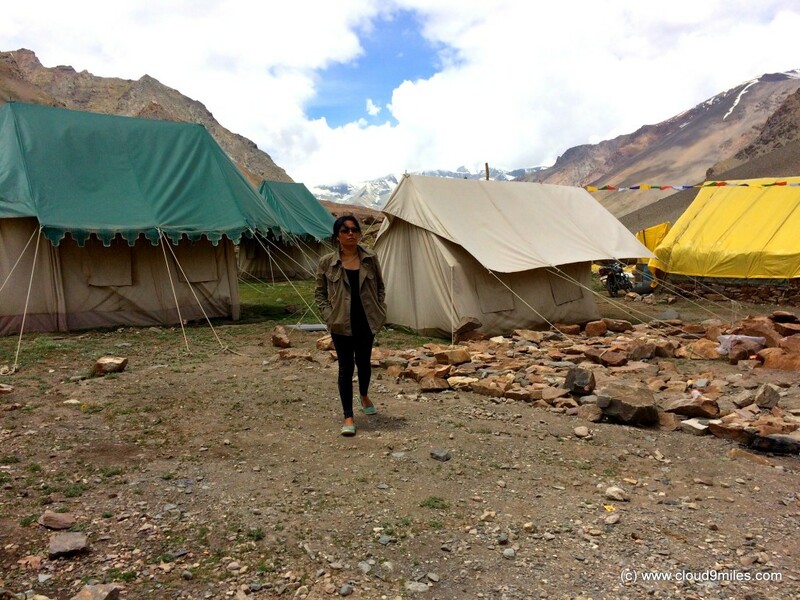 Finally saw settlements at Keylong! 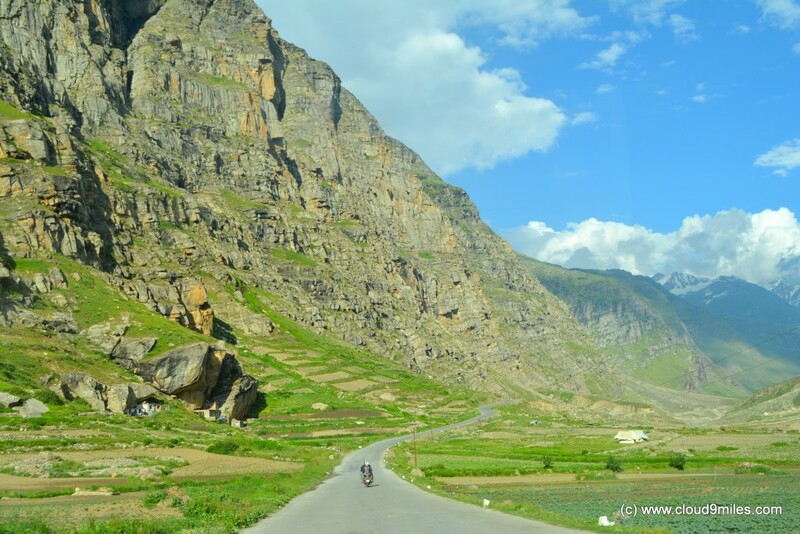 The journey from Keylong was quite different with green and colourful landscapes, human settlements, snow capped peaks, water streams, valleys, and waterfalls. A panoramic sightseeing experience, which was scenic and admirable! 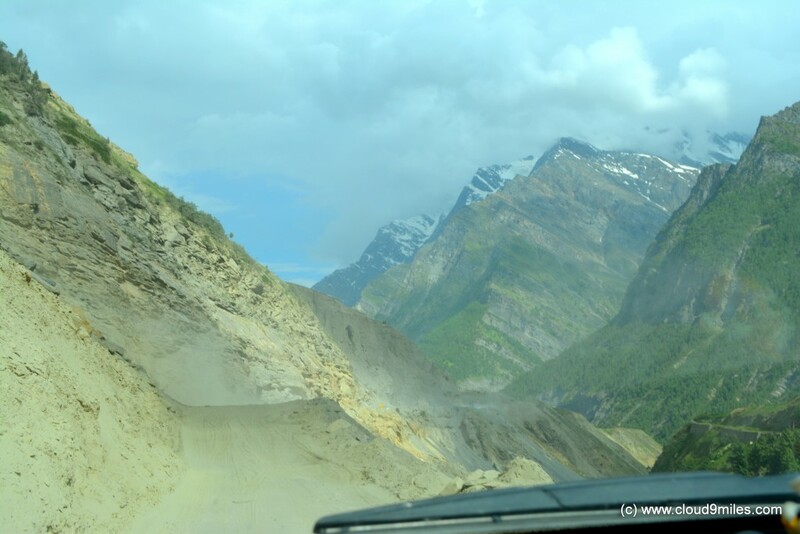 The road conditions were mix of smooth and rough patches. 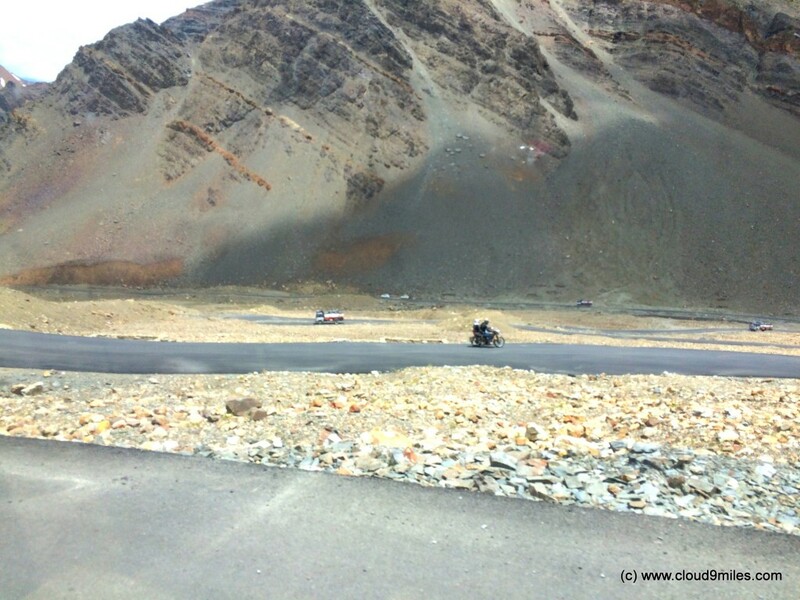 At some places there were beautiful tarmac amidst a valley and at places it was totally opposite. 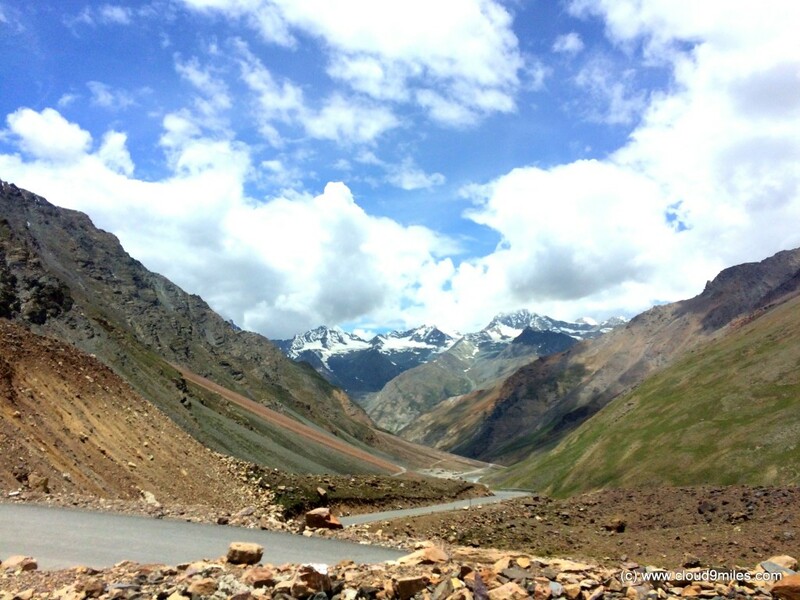 We were enjoying our sightseeing sojourn and slowly approached the second toughest pass of the day i.e. 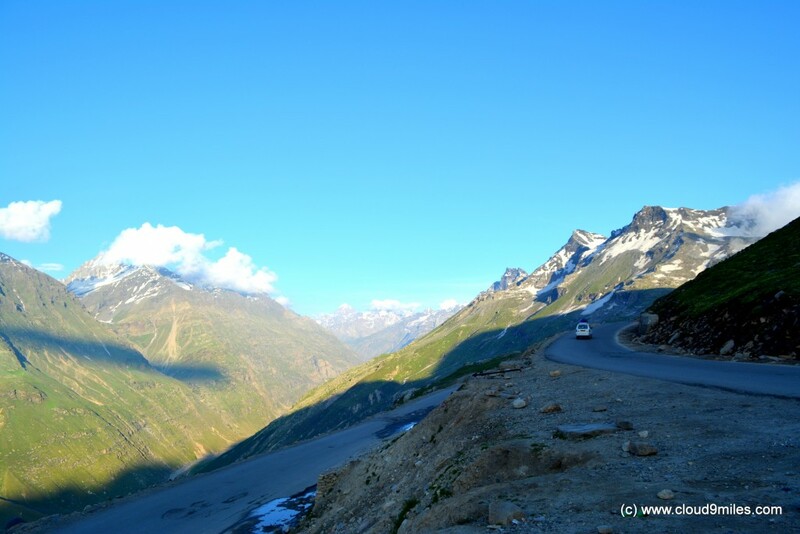 Rohtang La. 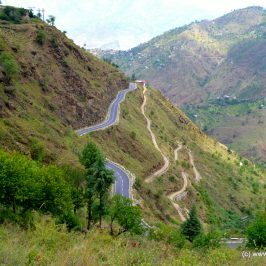 Once again we were greeted by treacherous terrain and believe us it was not an easy passage with numerous hairpin bends and loops with water stream, rocky terrains, and slush at places. 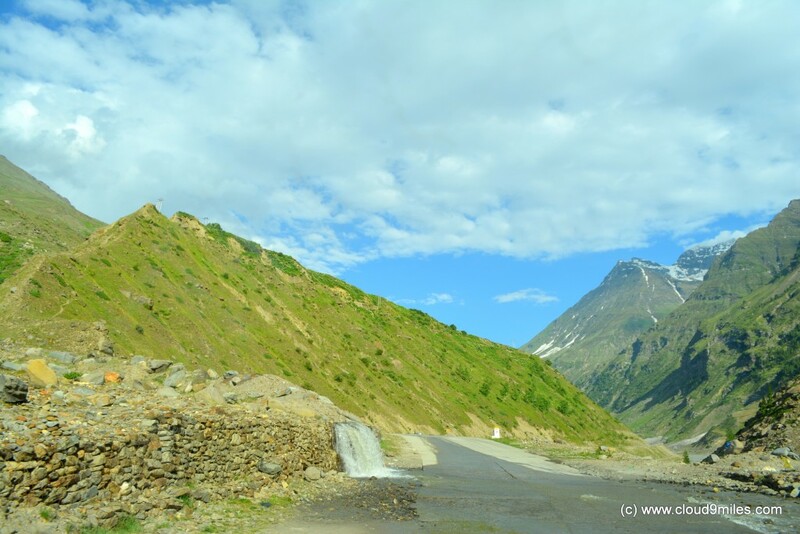 Approach road to Rohtang La was equally difficult and ascent was steep. Road construction was in progress and work was in progress from top towards the base. 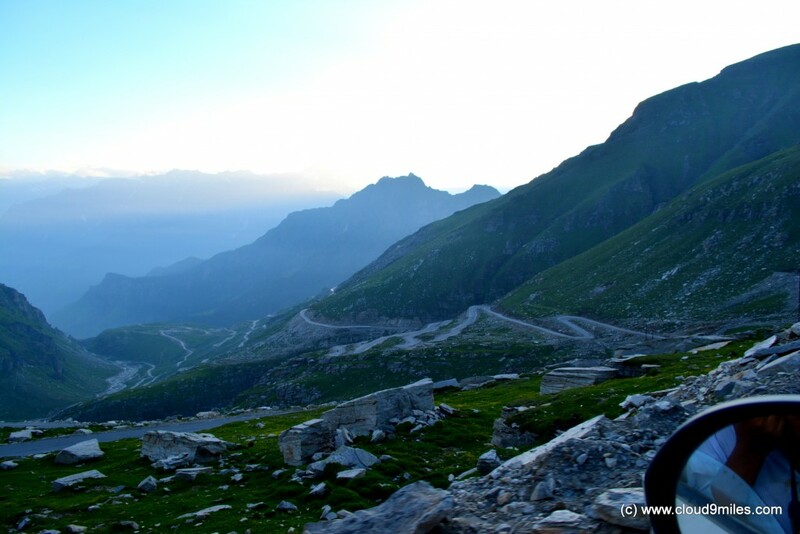 The last few loops were beautiful tarmac and we reached Rohtang La (alt 3978 M) @ 6:40 p.m. thereby covering 172 KMs. 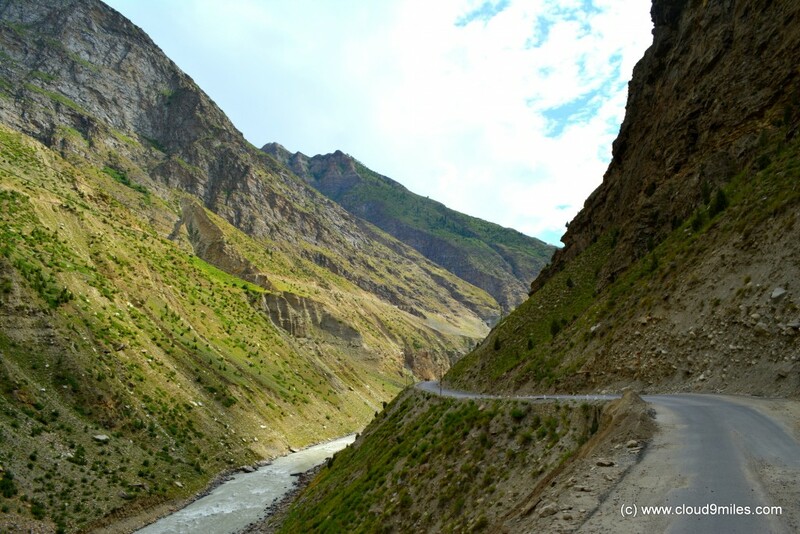 In short from Keylong to Rohtang we covered the distance of 65 KMs in 3 hours that too without any halt thereby depicting that this route also means business. The moment we reached the top we saw the other side of valley with vast expanse of mountains getting smaller in size as far we saw. 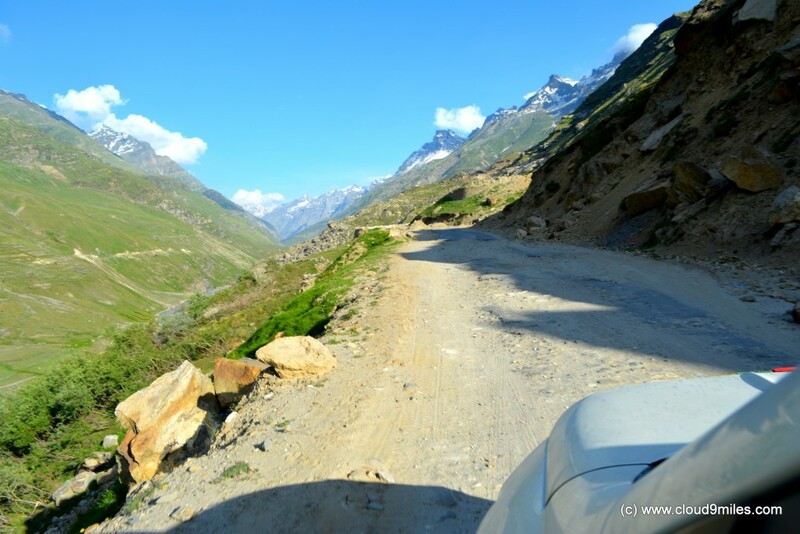 The rough road in between Keylong to Rohtang! Beautiful tarmac after rough roads! I want to live free! Water stream flowing through highway! A dream run – isn’t it! 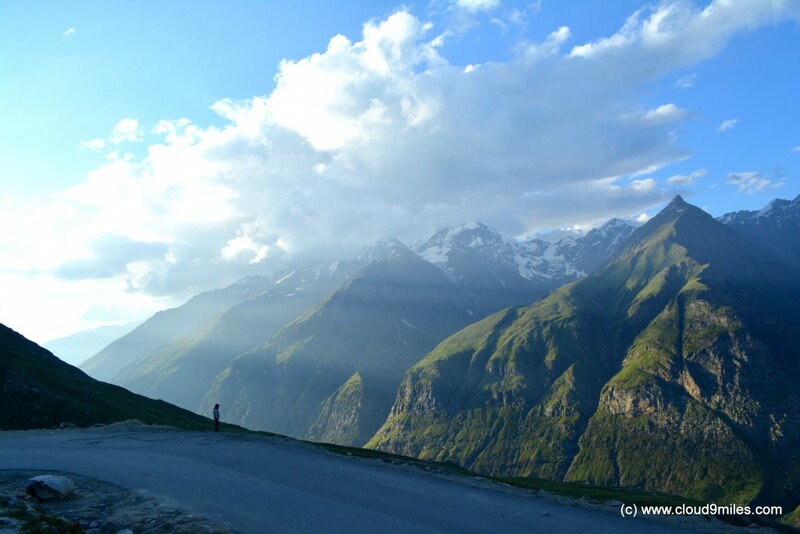 Rohtang is testing our skills! Better roads at the top! Beautiful view from top – Sunrays piercing through clouds! 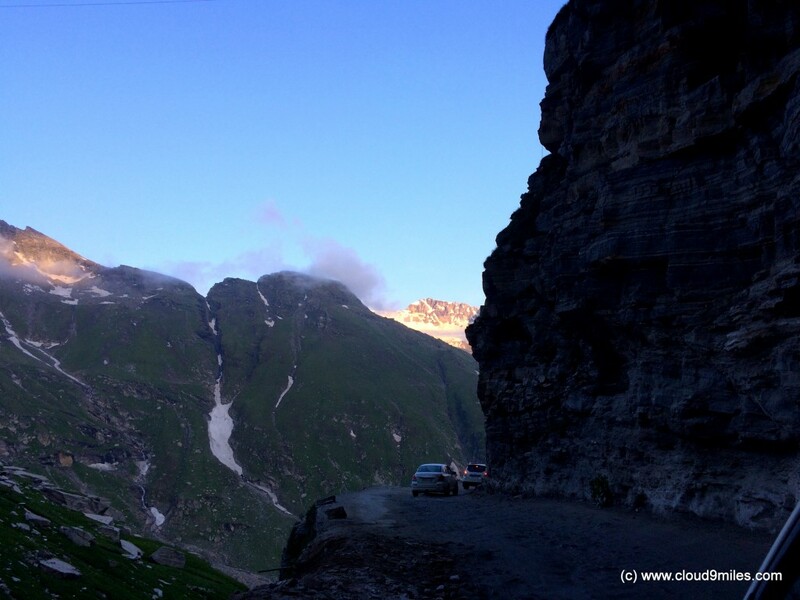 From Rohtang it was a descent to Manali with numerous hairpin bends and loops. 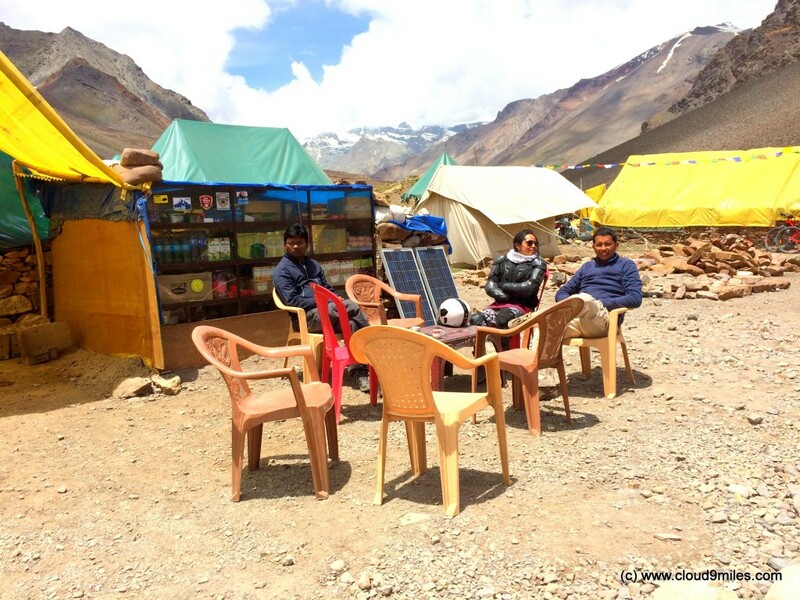 We covered the distance of 36 KMs till Manali (alt 1950 M) in 2 hours with a tea break at Marhi (alt 3300 M) and descended an altitude of 2022 M from Rohtang. 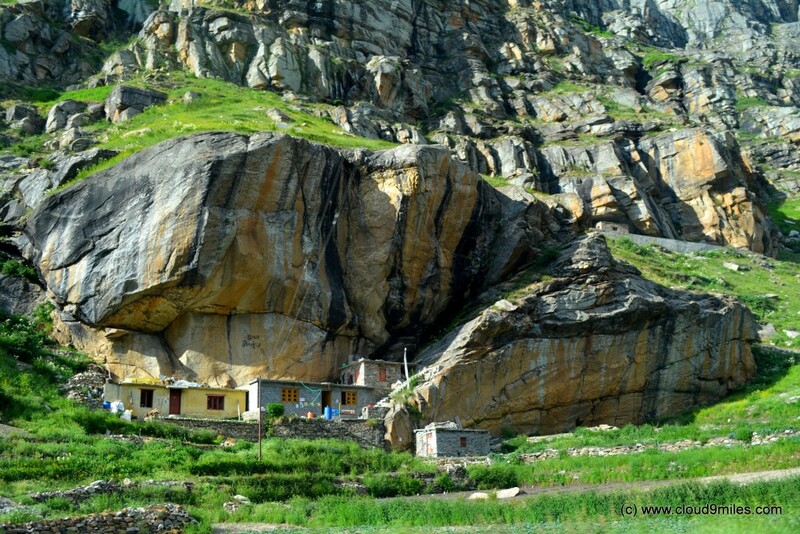 In short to cross this mountain (i.e. 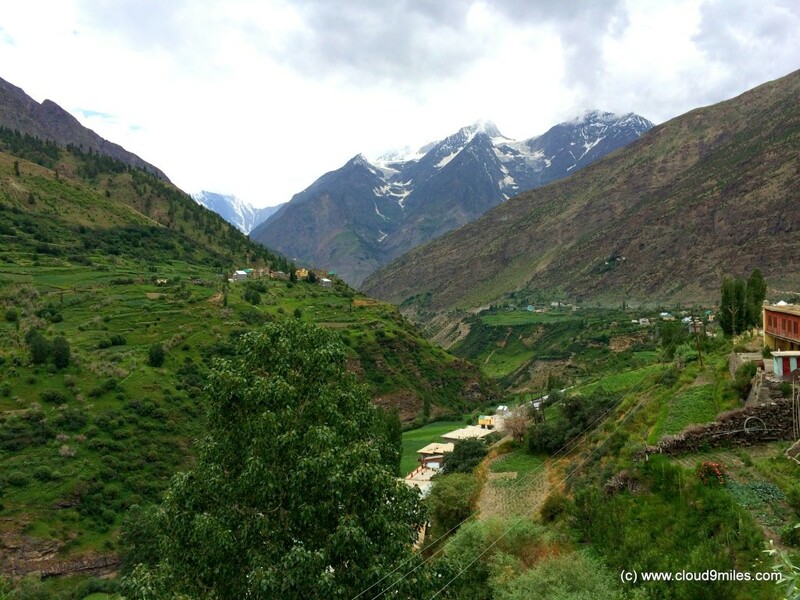 from Khoksar to Manali 56 KMs) we scaled 1000 meters and descended 2000 meters in a span of 4 hours. A true test of endurance and perseverance – phew! 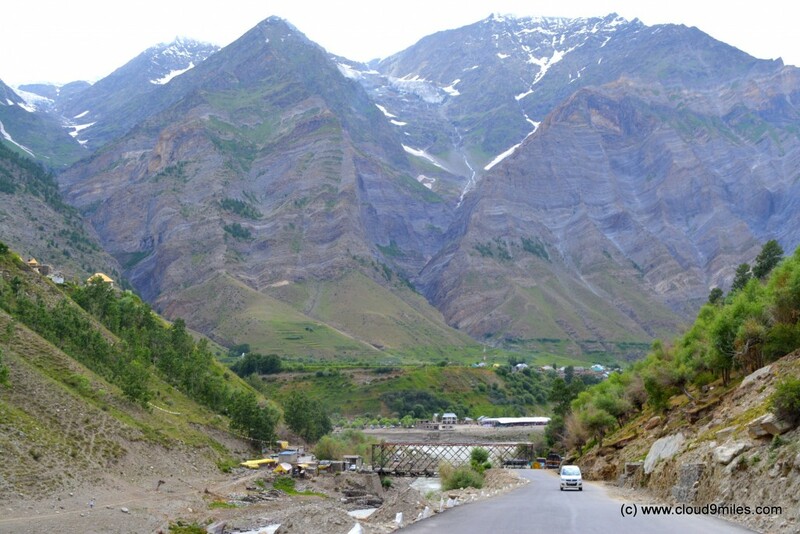 Finally, we reached Manali @ 8:40 p.m. thereby covering a distance of 208 KMs during the day. 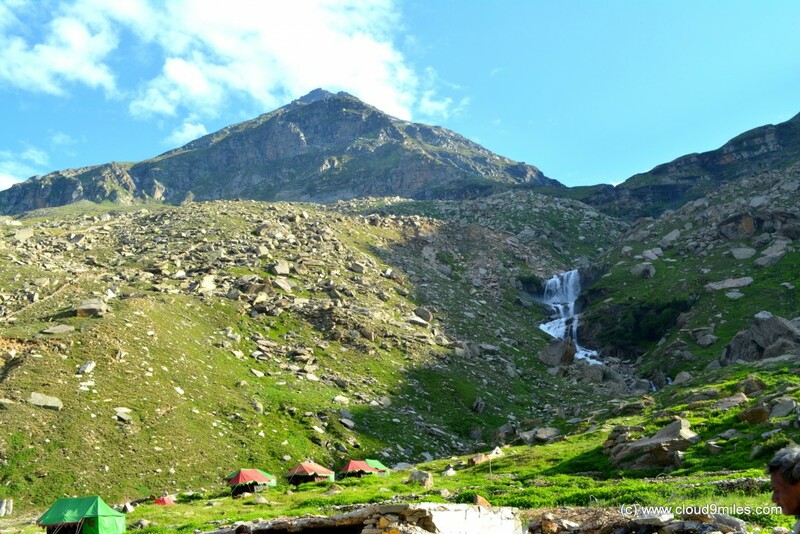 We went for rest with a thought that on next day we need to descend only with no high passes and reach our destination. But that doesn’t give any space for complacency as we still had to cover a distance of 570 KM. 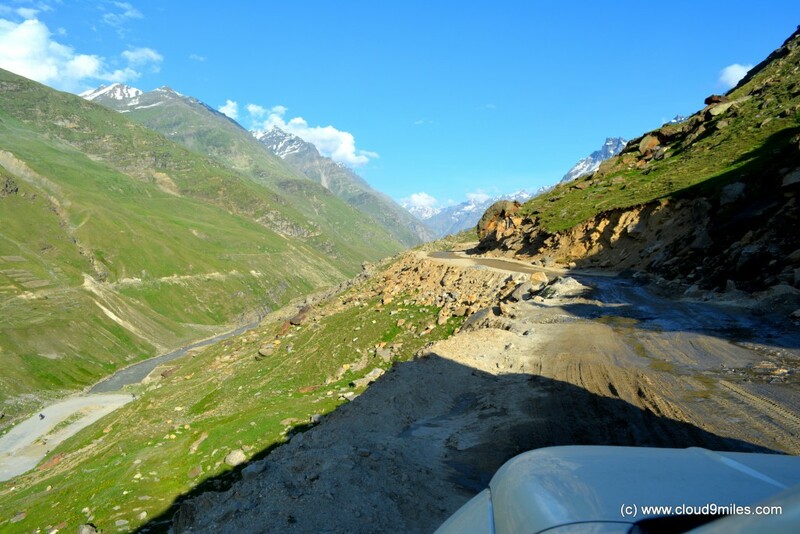 The downward journey from Rohtang and view of valley! Next day morning we started our onward journey at 11:30 a.m. It was a delayed start for a long journey but we had to move ahead and achieve our goal. 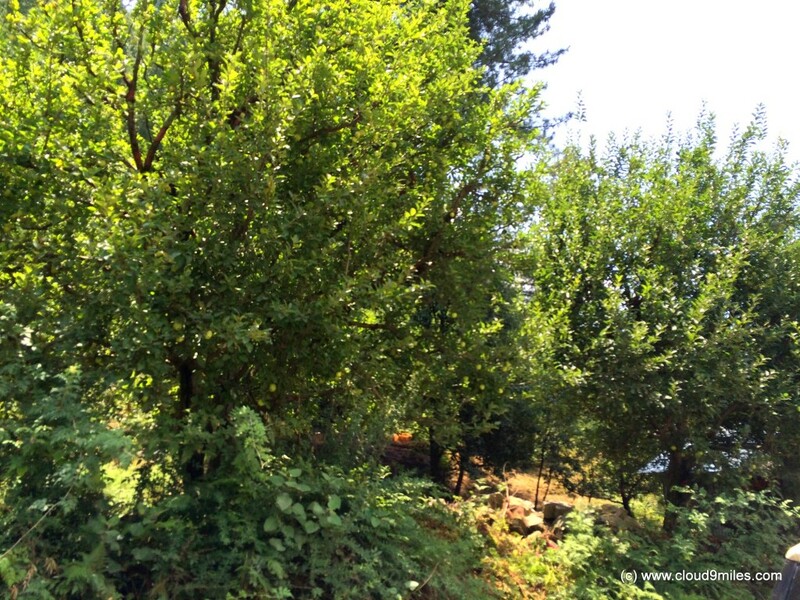 Between Manali and Kullu we crossed through Apple and Pears orchard and tried our luck as well. 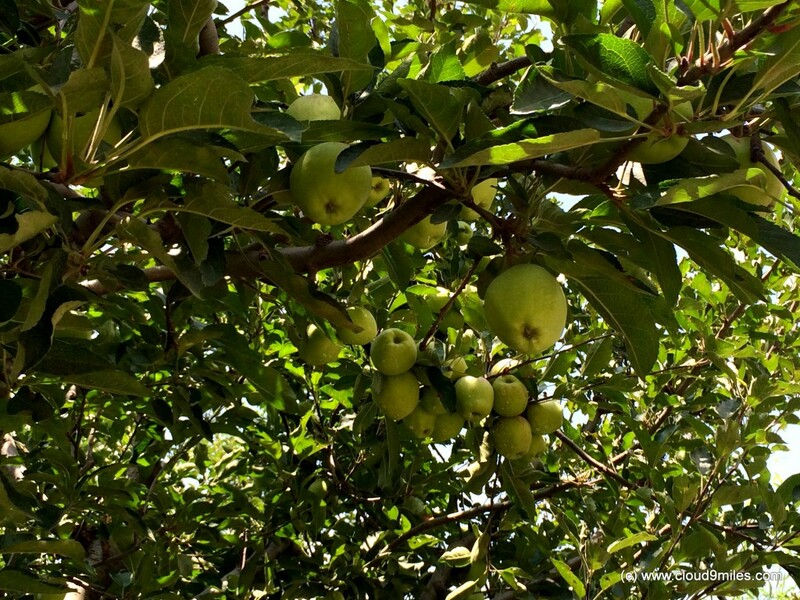 We plucked few apple and pears from the tree and tasted them. On the way we lost another half an hour doing childhood activities and moved ahead. 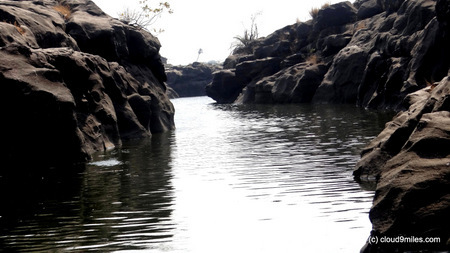 The journey ahead was also not completely smooth with few rough patches on the way. Another factor that crept onto us was the completion of this last leg. 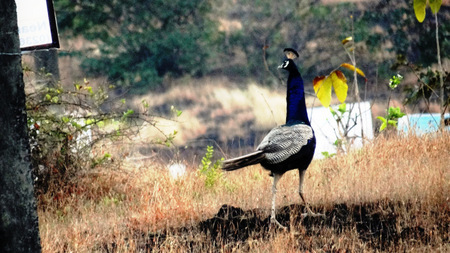 We were eagerly waiting for the plains and kept on waiting till 8 p.m. when we touched Chandigarh highway. I must confess it was a desperate wait. After such a daunting trip the sight of four lane highway seemed like heaven. We moved ahead and reached Ambala @ 11 p.m. where we took a dinner break and continued our journey. Apple as fresh as it can be! 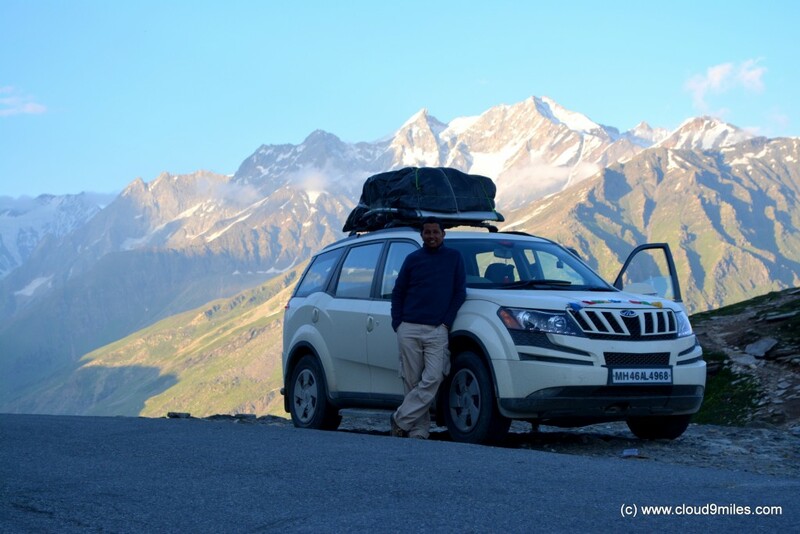 Finally, we reached Delhi @ 5 a.m. thereby covering a distance of 570 KMs from Manali. Overall, we had covered 4400 KMs starting from Mumbai. 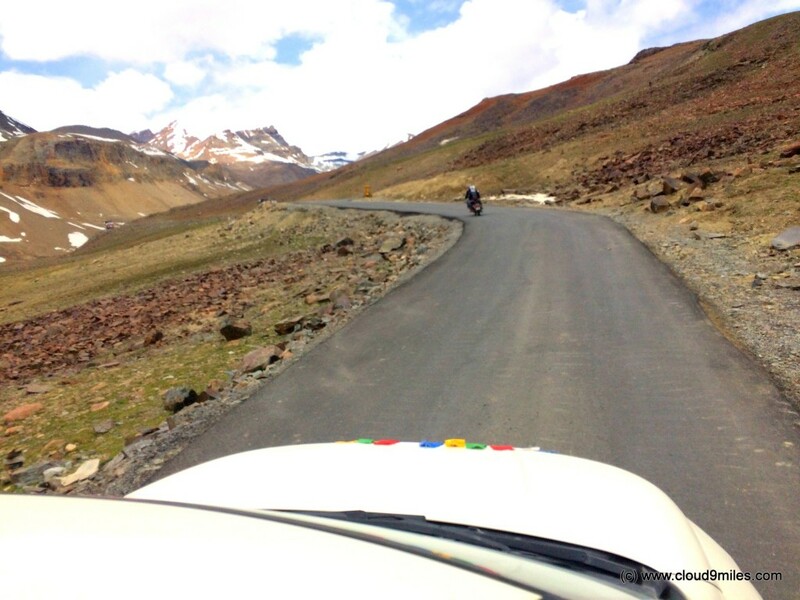 A note of thanks to those people who work at these far away remote places at harsh conditions to maintain these roads so that atleast they are motorable and without their effort it won’t be possible for traveller’s like us to scale these summit. 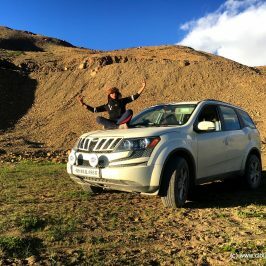 A trip that will remain embedded forever in our heart till eternity and has given the impetus to plan for more road trips ahead. Till then enjoy reading!